So, we've discussed a number of years in the 90's in terms of black film, so it is only fair we discuss the last year of the decade and the best and worst films of that year. I was a huge fan of a number of films that would be popular this year, with a number of classics releasing in the theaters. Today, we revisit the best and worst of that amazing year in black film. -This is a legendary movie and one of the best comedies ever. I fully believe this. When you take two of the greatest to ever do it and you put them together in a movie, what could you expect besides greatness? Based on a story of two men who end up in a jam and have to make due with what they can, Martin and Eddie excel to the max in this film. Bernie Mac has a solid small role as well, making this the only moment you saw all three legends on screen together. The comedic chemistry between Martin and Eddie shines bright here as they play Claude and Ray, and the laughs are nonstop. Life is my favorite movie this year and one of my favorite movies period. 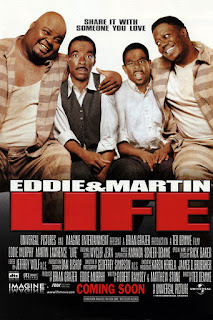 -So, if you asked me who my two favorite comedians were back during this time, it would have been hands down Martin Lawrence and Eddie Murphy. 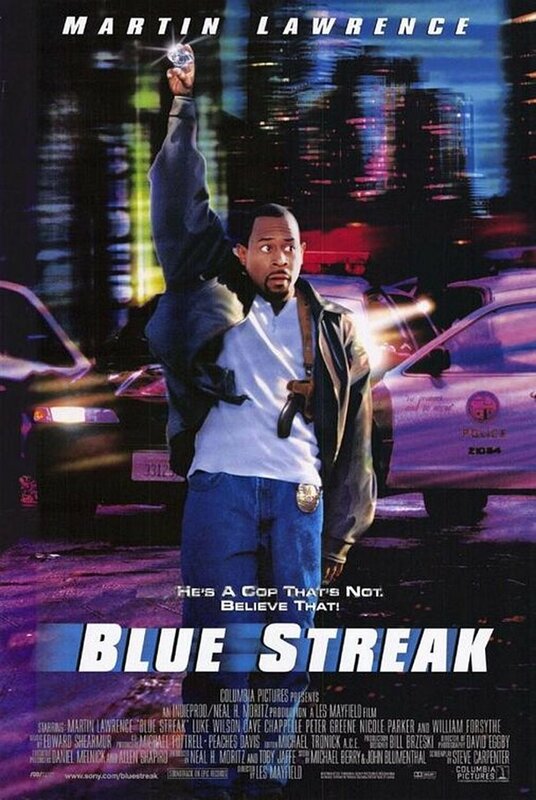 While the best black film this year came with them together, Martin had a nice comedy himself this year with the diamond heist centered film Blue Streak. While the movie itself might not be considered an official black film due to a diverse cast, the real stars in this movie are Martin and Dave Chappelle, making them the only memorable parts and thus the inclusion of the film on this list. Martin plays the role of a jewel thief who gets out of prison and has to find the diamond he stashed, which is now in a police station. How he manages to do that is where the fun is in the film and Martin provides tons of laughs and so does Chappelle in his complementary role. -A movie that was slept on in a way at the time, Trippin' was an interesting film in the sense that it isn't good at all, but it does have some entertainment value. 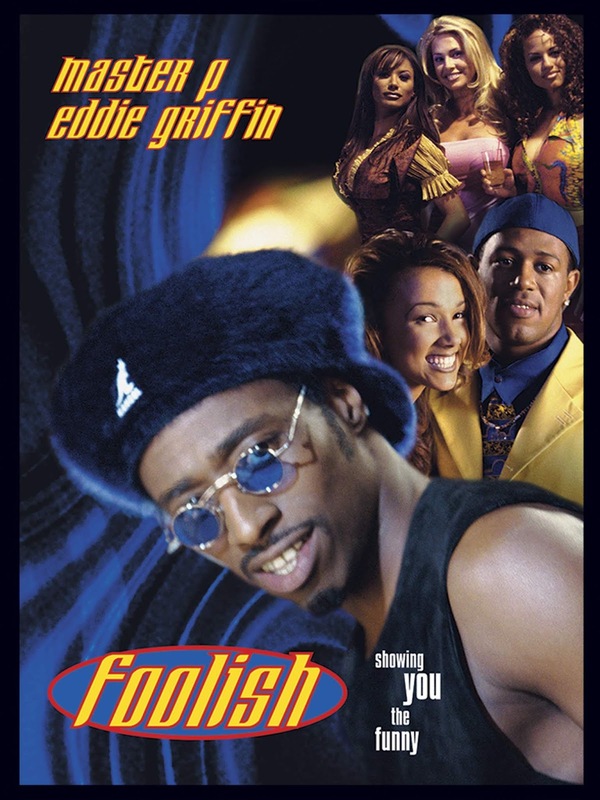 I wouldn't recommend this film to anyone really, but the cast is full of young black actors (at the time) who were looking to get ahead in their career. 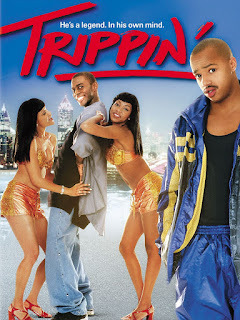 Deon Richmond, a young Anthony Anderson, Guy Torry, Maia Campbell (before the drugs took over), and Donald Faison star in this movie with the ridiculous premise based around daydreams and the power of them. There are some laughs here but not enough to justify recommending it for a watch. 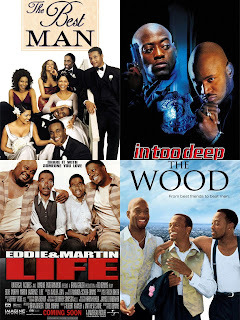 -Master P made a number of movies that seemingly grabbed our attention and made us fans of his film work. They were never great films, but there was something about movies like I'm Bout It and I Got The Hook Up that made us watch. The same courtesy if you will was extended to the Eddie Griffin vehicle Foolish, which is not a good movie by any stretch, but it does have some solid moments and some good comedy, as well as excellent eye candy in both Traci Bingham and Amie Petersen. The movie isn't worth more than one watch, and it is not at the top of the list of movies for the year, but it had enough enjoyment in it. -Friends grow up together sometimes and learn their own life lessons in the midst of finding love and happiness. This is essentially the description that fits perfect for The Wood, a coming of age story that introduces you to friends Mike, Slim, and Roland and their lives that intersect with others. As they prepare for Roland's wedding, the group of friends reflect on their journey and path together. The movie features some solid comedy and some life lessons that showcases where the boys grew into men and how no matter what occurs, their brotherhood is still in tact. 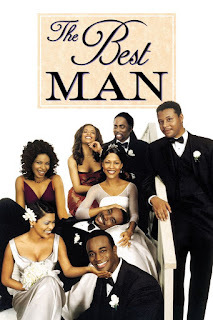 This film is almost like the true beginning of the Omar Epps, Sanaa Lathan, Taye Diggs, and Morris Chestnut black movie renaissance, which had a great run from 1999 through the early 2000s. -So, Omar Epps is one of the most popular black actors of the 90's and rightfully so. 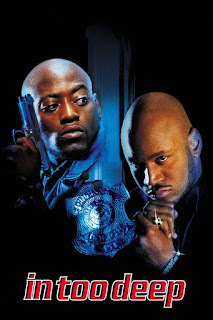 He managed to be a part of a number of movies that all made an impact and while his role here isn't his most infamous, he still has a great performance here as undercover cop J. Reid, but the real star of the movie is easily LL Cool J, who plays the role of Dwayne Gittens, who is mostly known in this film by the name God. 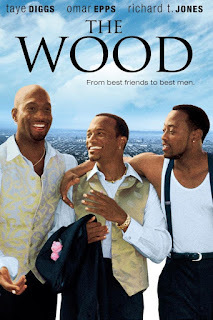 The internal struggle that Epps has with his character is actually pretty interesting and the way LL steals the show as the menacing but loyal "God" is another great piece of this film. All in all, In Too Deep isn't a classic but it is an enjoyable film that has good performances and Nia Long, who is always welcome on my screen. -So, it has been almost 20 years since the first Best Man film. It doesn't seem to be that long, especially with the sequel only debuting some 5 years ago. 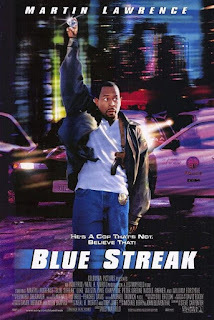 However, it was almost 20 years ago that we witnessed the birth of perhaps one of the better black film franchises that is due for a third edition in the coming years, hopefully. As for this initial one, the story was actually pretty fun with the premise based around a wedding, a book being written that was loosely based on the people attending and in the wedding, and their relationships. There is a good amount of comedy in this film, and the cast has a lot of chemistry. This is one of the more solid films of this interesting year.